The French firm Intuiface has announced an interesting new partner program squarely aimed at interactive and experiential content designers. The Creative Experts program involves companies that offer experience content design services – who can be connected with end-users or other partners who effectively need someone to design and deliver what shows up on screens. Participating freelancers and agencies get discounted software for in-house use, social media promotion, and dedicated pages on the Intuiface website. The program is distinct from a more traditional Value Added Resellers program, also announced by Intuiface this week, that connects end-users with companies that can deliver a full project, including things like procurement and deployment. VAR program members get the same kinds of benefits as the creatives. Intuiface says the two programs already, collectively, include 50+ companies located across 26 countries. While the company markets its product as a do-it-yourself platform, it notes a percentage of end-user clients don’t have the time, graphic design skills or UX interaction experience to do the interactive experience right. 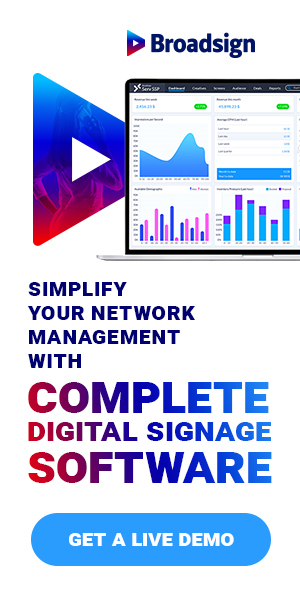 Many end-users, of course, contract out digital signage project management and delivery. The IntuiFace Partner Programs website is here: https://www.intuiface.com/intuiface-partners.